self-contained, bench-top, for study of Pelton turbine characteristics. Pelton turbine, 450W brake power. Stainless steel runner, nozzle and shaft with mechanical seal. Stainless steel casing with transparent side. Centrifugal pump. Self cooling prony brake, digital torque indicator. 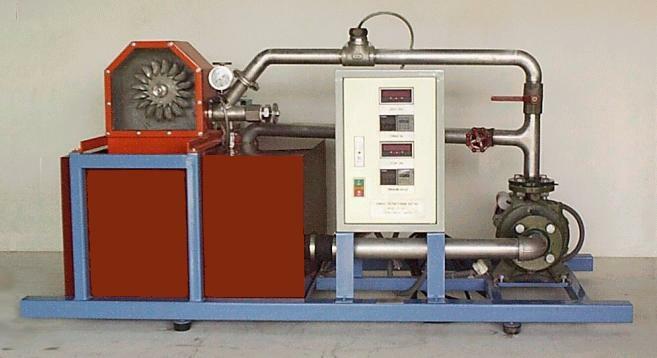 Digital flow and speed indicators, pressure gauge, water storage tank, stainless steel piping. Control cabinet leak detector. 220V, 50Hz. PC-data acquisition.